Historically, the LinkedIn brand is not one small businesses think of when it comes to hiring the likes of cooks, dry cleaners, and janitorial staff. However, the world’s largest professional network is working hard to change that perception. June of last year, LinkedIn launched recommended matches, a feature it hoped would would appeal to SMBs by automatically serving up qualified candidates in real time following the posting of a job. At the time, LinkedIn touted 10 million small businesses belonging to its site. In another move to engage small businesses, LinkedIn announced the ability for brick-and-mortar businesses to print out a Help Wanted sign to place in a storefront window or put on a tabletop promotion. 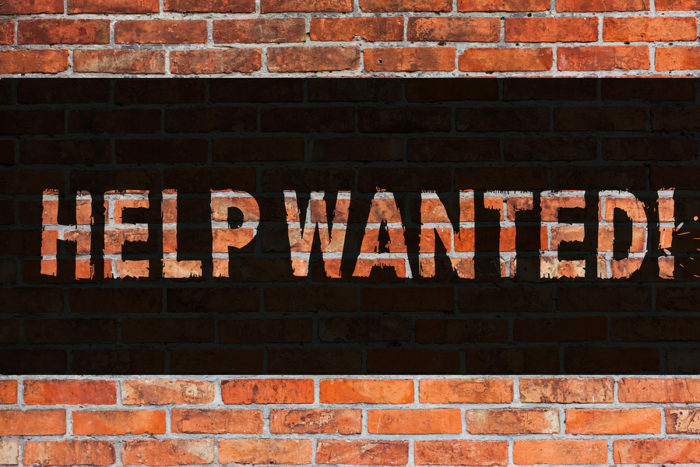 Think of it as a traditional Help Wanted sign with more engagement and a bridge to the digital world. 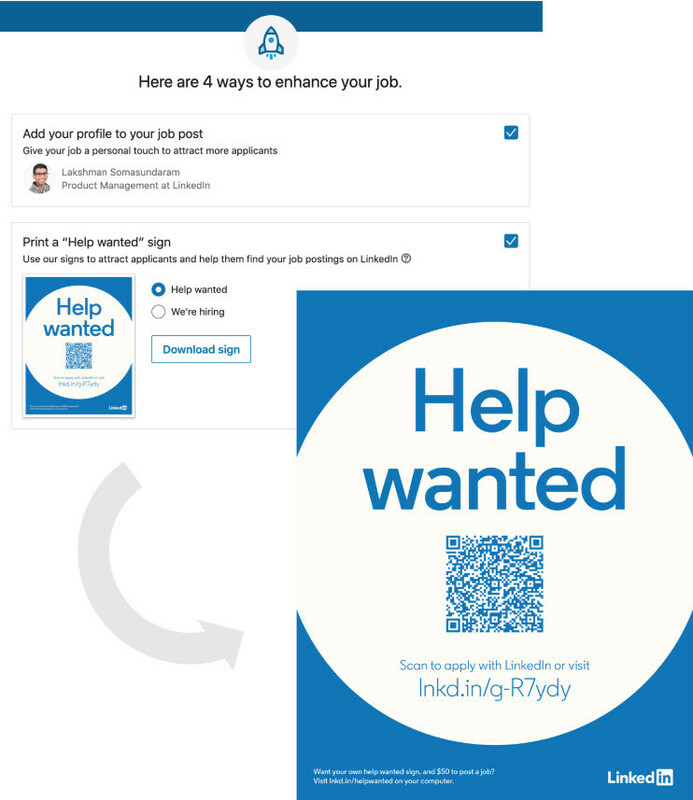 LinkedIn now allows SMBs to download a “Help Wanted” sign for their storefront. For brick-and-mortar business owners, the signage allows candidates passing by to apply for a job by scanning a QR code or going to the short link on the sign. LinkedIn says this solves the age-old challenge of managing two streams of applicants — those walking directly into the store and those applying online. “LinkedIn makes it easy to post a job, but we also want to make sure the most qualified and relevant candidates you care about get exposure to your open role,” wrote Monica Lewis, group product manager, LinkedIn Talent Solutions. The new feature is available immediately for SMBs across the U.S. Employers using the feature will pay on a pay-per-click basis. As far as cost goes, for companies that let candidates apply with their LinkedIn profile, use a title from their dropdown, and have a company page, LinkedIn guarantees at least 10 applicants on the first post or your money back. Playing around with the platform myself, LinkedIn recommended a budget of $21.42 per day to get 32 applicants in 30 days for a sales job I drafted in Indianapolis. This new feature will sound familiar to those who remember the first iteration of WorkHere back in 2017. Similar to Yelp stickers, WorkHere hoped small businesses would use its app to hire and promote it at the same time buy placing stickers in their storefront windows. Asking people to download a new app for the sake of landing a retail job is a talk order, which is why the company has pivoted to a more realistic model. A big difference, of course, is a lot of job seekers already have LinkedIn on their phone, and if they don’t, asking them to do it isn’t all that difficult for anyone looking for work. And tying your small business to LinkedIn’s brand isn’t a bad thing either. Now, if QR codes could just make an epic comeback.